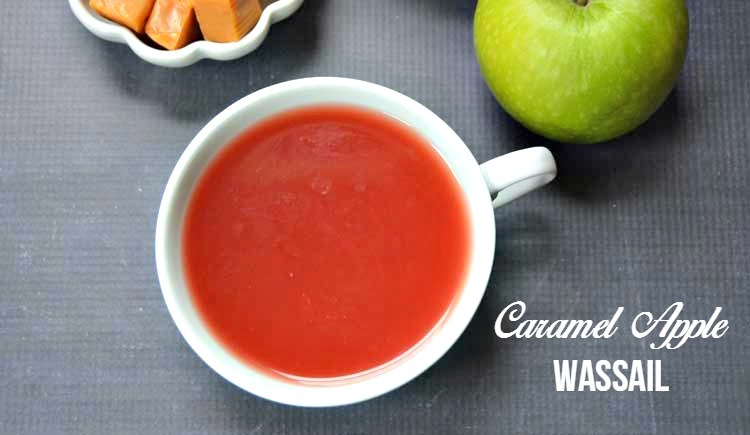 Caramel apple wassail recipe with essential oils is a delicious drink for holiday entertaining. Three different juices are combined and spiced with essential oils. 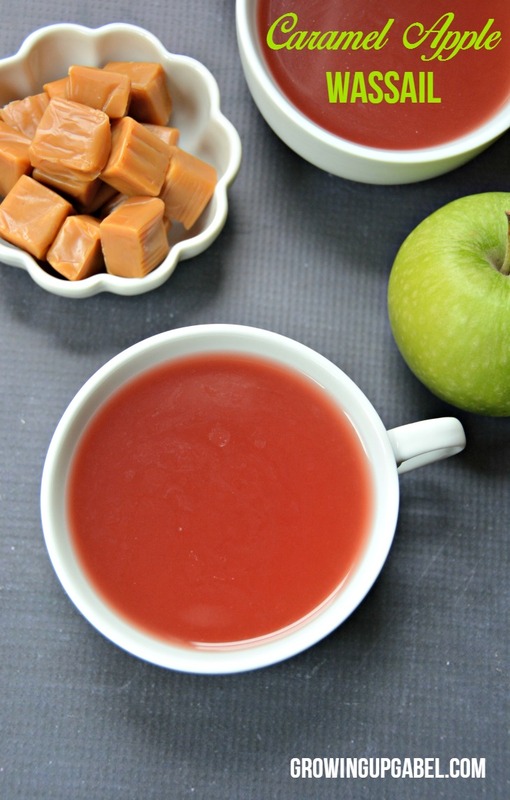 Then you can add caramel vodka for an extra kick of flavor, or leave the vodka out for a family friendly drink. Thank you Yahoo! for sponsoring this post. While this was a #YahooDIY sponsored opportunity from Yahoo!, all content and opinions expressed here are my own. I find inspiration for recipes from all over the place. My mom was the queen of using recipes found right on the packaging of our favorite foods. I'm a little more digital and found a lot of my inspiration on the internet. I'm also a magazine fanatic and have more subscriptions to magazines than I care to admit. Combine the two in to a digital magazine and I'm in inspiration heaven. Yahoo! has recently launched some great digital magazines full of amazing inspiration. I got lost reading the articles in the Yahoo! magazines like 10 Fun Holiday Crafts for Your Kids and No Dish Left Behind: How to Make Leftovers Last (because I really just don't like leftovers!). I was flipping through this article Don't Buy Another Bottle of Wine: 10 Unique Gifts to Give Your Host, which includes a recipe for homemade cider. That recipe looked a little bit more involved than I wanted at the moment, but it did remind me that I wanted to try out a wassail recipe. Wassail is traditionally a spiced or mulled wine drink that is served on Christmas Eve. You can also go wassailing, which is basically caroling, while drinking wassail. Fun, huh?! 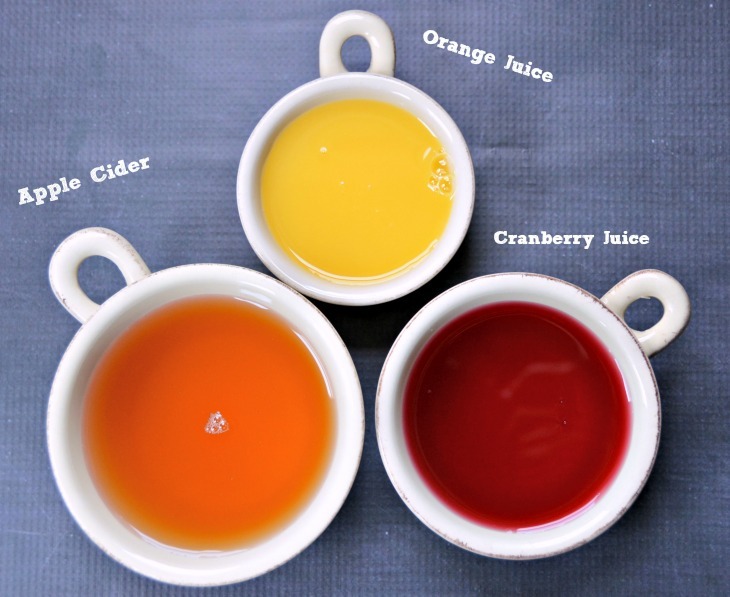 I wanted a wassail that both adults and kids can enjoy so I used juices instead of wine as the base. I used three different kinds of juice apple cider (see? ), cranberry juice and orange juice. Spices are added to the wine, or juice, and the concoction is allowed to simmer for a long period of time to allow the flavors to meld. Well, I'm a busy mom and it is slightly less than a miracle that I'd even remember to make wassail so I need something quick to put together. Enter essential oils. You can get a huge punch of flavor quickly by skipping the long cook with spices and just using the oils instead. 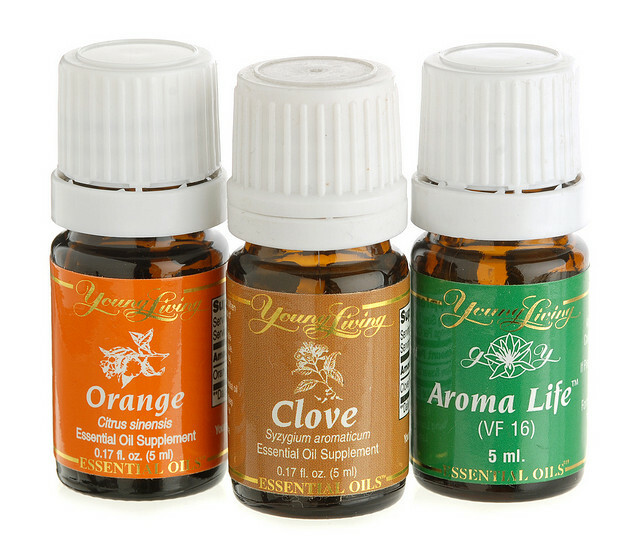 I used orange, lemon, clove, cinnamon, and frankincense but you can mix and match to find a flavor combination you like best. The frankincense adds a woodsy flavor to the wassail, but it's a tad on the expensive side so you could skip that. Combine the juices in pot and let it come to a boil. Remove from heat and add your oils. That's it. You are ready to go! Oh but not quite yet. 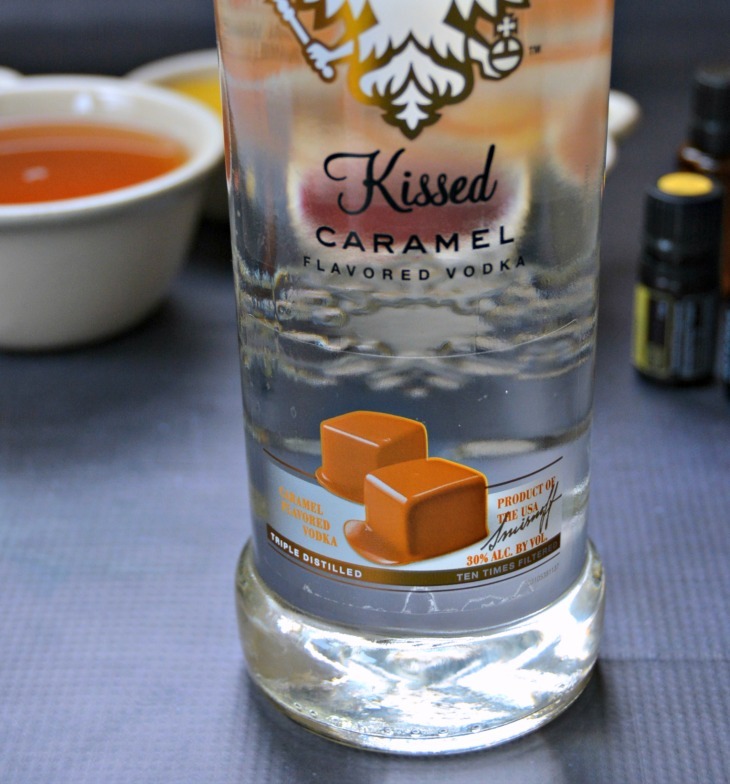 If you want a little added deliciousness, grab yourself a little bottle of caramel vodka and add a splash of that to your glass. I keep this separate so that the kids can drink from the pot of wassail, too. But if this is for adults only, go ahead and just add it to the pot with the essential oils. You could pour this in to a slow cooker to keep it warm for a long night of wassailing in the neighborhood. You can increase the recipe to feed a bigger crowd. The recipe as written makes enough for 2-3 people. Interested in learning more about essential oils? Check out the amazing deal I am offering all my readers to get started in essential oils! 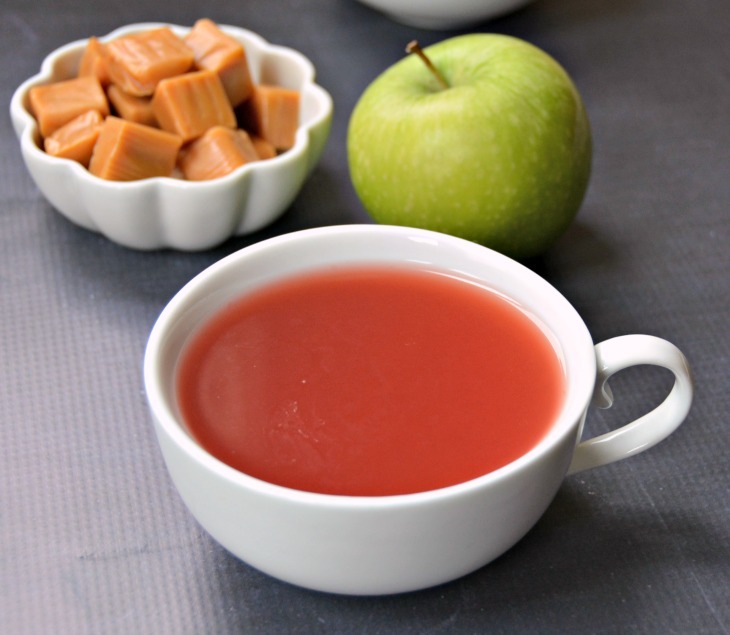 Combine apple cider, cranberry juice and orange juice in a pot. Heat over high heat just until it reaches a light boil. Remove from heat. Add essential oils as recommended, or to taste. Add the vodka to the entire pot for an adult beverage, or allow guests to add it to their cups to keep the wassail family friendly. Mmm, curling up with a mug of this under a blanket with a good book. Sounds good to me. Thanks for sharing on the Creative K. Kids Tasty Tuesdays Linky Party. We hope you will join us next week. Never heard of wassail but if it has caramel vodka in it, then would definitely give it a go! This sounds super cool. I am huge into essential oils right now and I love the idea of a essential oil based cocktail. A caramel apple one at that. Yummmmmmm. It’s amazing! I can’t believe how yummy the oils are in the wassail.